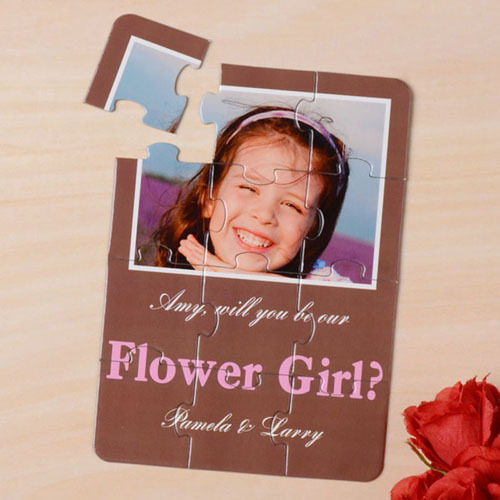 Have you even though of turning your wedding invitations or wedding announcements into jigsaw puzzle to surprise your wedding party guests? 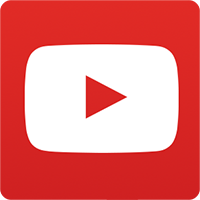 If no, you can start thinking about it as you can find all tools here in this website. 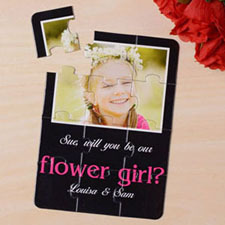 Our quality puzzles invitations measures 5 x 7 inches when complete and includes 12 puzzle pieces. 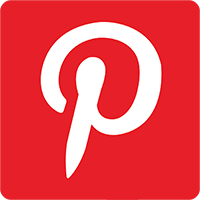 You can easily customize it with photo, picture, graphics or any design of your selection using our online picture editing tools. 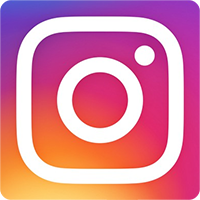 It lets you edit your uploaded photo, add custom message and preview your personalization in real time from one easy place and no software download is required. 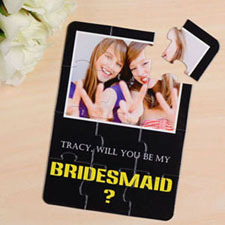 Each customized invitation puzzle comes unassembled and sealed in clear plastic bags. 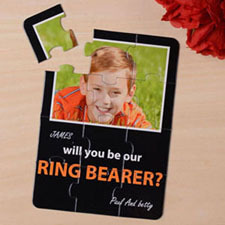 A separated free envelope for each puzzle is provided. 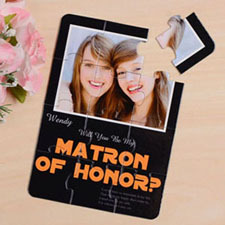 Personalized puzzles invitation work great as cheap wedding party favors, save the date puzzle, wedding announcements and bridal shower invitations.